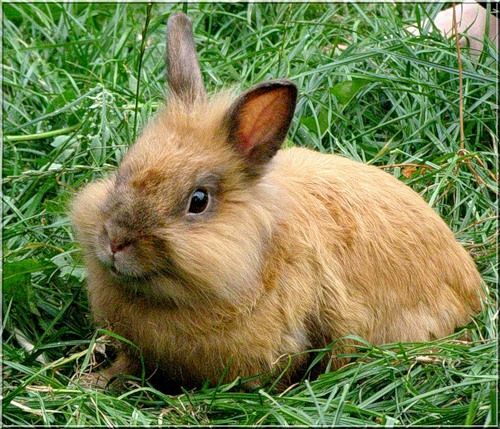 Dwarf rabbit as a pet is a great alternative to traditional cats and dogs. 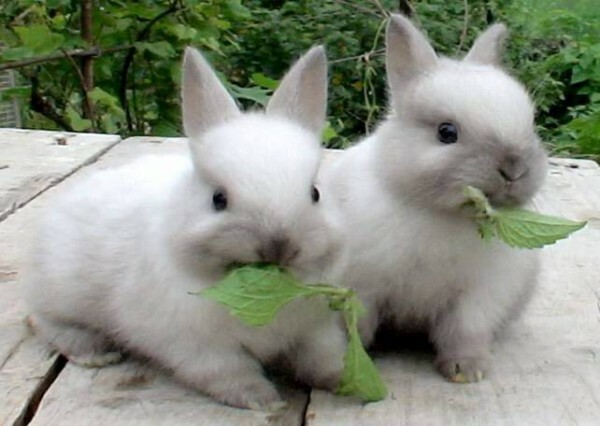 We will focus on one very important aspect of the content of the dwarf rabbits - feeding. Dwarf rabbits are tiny single-chamber stomach and very high speed of digestion. So feeding rabbit depends very much. Young growing rabbit has to constantly feed your body, up to 50 times a day. His diet should be rich and varied. 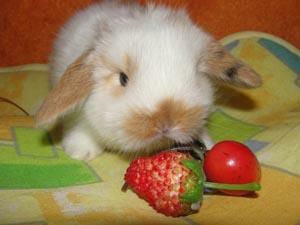 Concentrated and pelleted feeds do not contain all the necessary Bunny substances, although also have to be in nursing. In addition, the diet should contain gross natural food, fruits and vegetables. Under this concept lies the usual hay. It is necessary to prepare in the summer. Various grades of hay sold in pet stores. This kind of food needs to be a large part of the diet of the pygmy rabbit. In addition, rabbits are rodents, so require daily addition in food of tree bark or small twigs with the bark. For this purpose, suitable birch, Linden, Apple or pear. Remember that some varieties of trees and shrubs are poisonous to rabbits, for example, cherries or elderberries. Rabbits love fresh vegetables, fruits and herbs. To these products is not explicitly required to teach, as a rule, the animals eat them a lot and with pleasure. Vegetables you can give boiled potatoes, fresh carrots, cabbage, turnips (cooked or raw), beets. Well eat rabbits and wild herbs, but fresh herbs in our usual understanding could be poisonous, feed your rabbit alfalfa, dandelion, nettle, mouse peas, burdock. Don't let eared parsley, dill and onion, and henbane or buttercups. Fruit most rabbits love apples, especially hard varieties. It is not necessary to cut up an Apple too finely, let the rodent sharpened teeth, cut the Apple into 4 pieces, remove seeds and pith and treat the rabbit. In addition, the rabbit should always have access to clean fresh water. Vitamins and ready to feed. 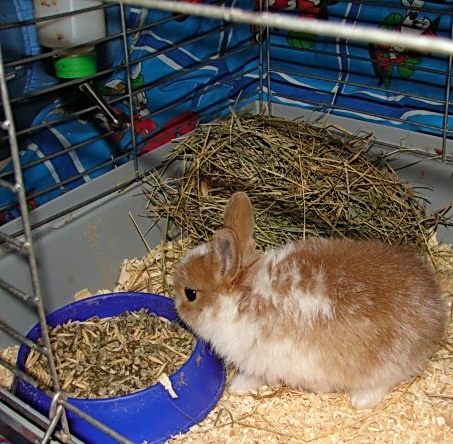 Rabbits are happy to eat ready to feed, bran, which are sold in pet stores. However, an adult long-eared should not give them more than 2-3 tablespoons per day. Otherwise, they can lead to obesity and constipation. 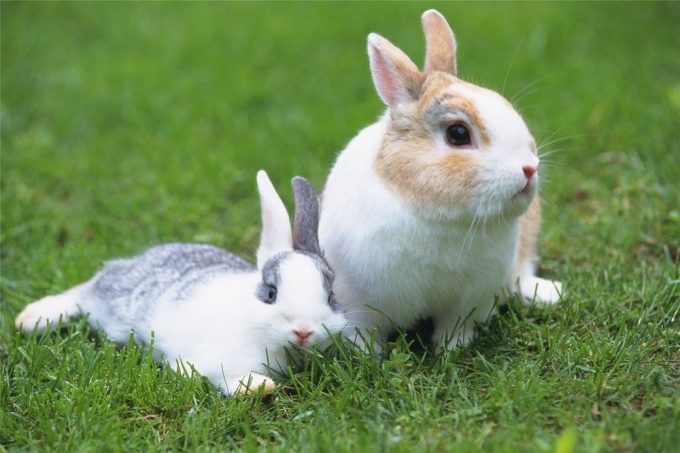 In addition, rabbits are happy to eat the vitamins and mineral complexes. A frightening feature of rabbits is the habit of eating their own droppings. Do not worry, as the rabbit improves and slows down your digestion, its dung is also a natural source of vitamins.